One of our favorite ways to reduce our use of consumable goods is by skipping the tin foil when we cover our oven dishes. Not only is is better for the environment, it’s much less fuss than pulling out the box, wrapping the dish and getting it to sit on the pan just right. 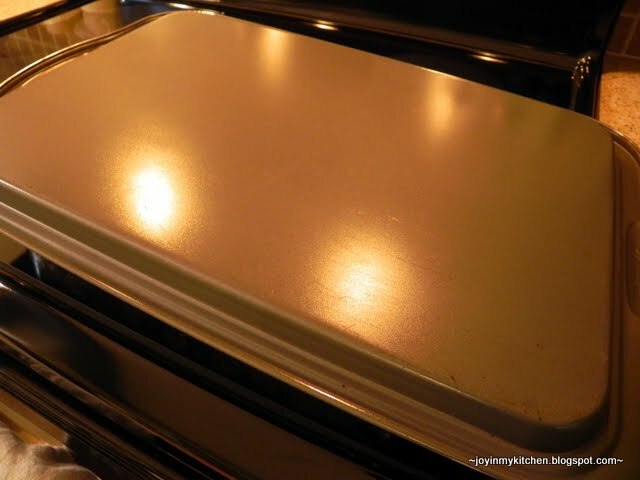 Placing a cookie sheet over the baking pan is so simple and easy to do, and I love that. Saving me a few seconds and less hassle in the kitchen is a plus. What a great idea! I'm going to start doing this tonight! And save tons of money on aluminum foil! Thanks for posting! What a brilliant idea! I love it!! I do this too and love the idea! If the casserole is especially high, I will coat the cookie sheet with non-stick spray to be sure that none of that cheesy goodness gets lost! I can't believe I never thought of this before! What a great idea. When I think of all the tinfoil I've wasted over the years, oh my! I have to confess that I'm bad about using waaay too much foil - parchment too for that matter - although I always re-use them when I can. I really should do this! Great idea! I have to say I have never thought to do this, but plan to from now on. What a great idea! I can't believe that I've never thought of that before. I don't bake a lot like that; but when I do, I'm definitely going to do this instead of the tin foil. Thank you for sharing that! Nope - never thought of that! Thank you! 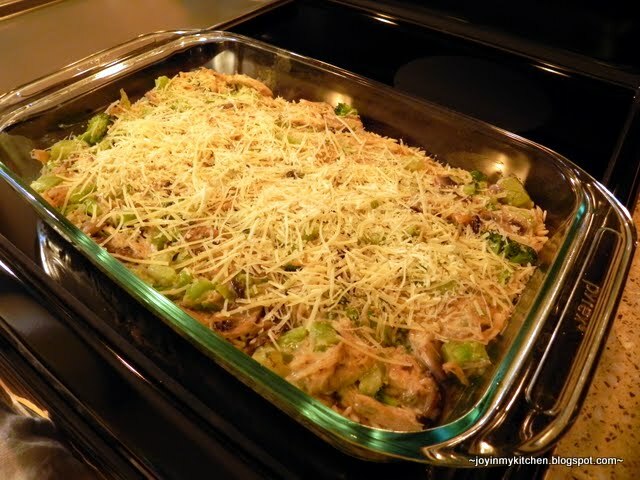 @Starsky99: Chicken, mushroom & brown rice bake - http://joyinmykitchen.blogspot.com/2009/12/chicken-mushroom-and-brown-rice-bake.html. I usually place a cookie sheet on the rack above what I am baking. 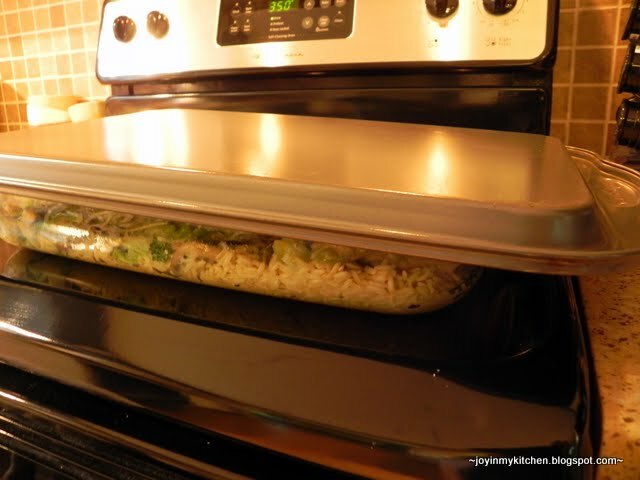 This way the food is protected, but the cookie sheet doesn't touch it. Works especially well with cakes or pies. Great idea, esp. for pies! -- Thanks. Brilliant idea! Thank you for sharing!